This 3BR/2BA home is situated at the end of a paved street for privacy. Totaling approx 2,212 sq ft, it features a 22'x22' addition with it's own A/C unit and entry door, a basement beneath. 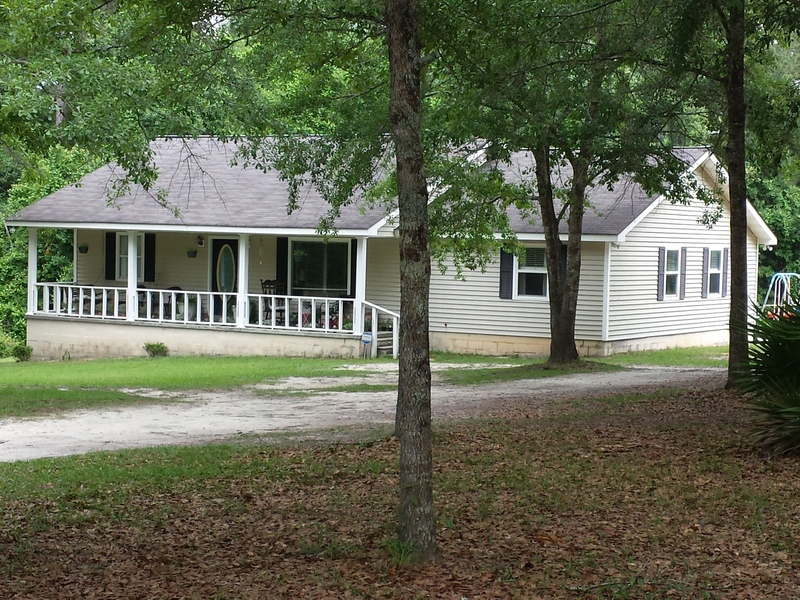 It's move-in ready featuring knock down ceilings, 4 inch crown molding, a huge 17'x14' Master Bedroom and large bath. Kitchen features beautiful pine cabinets and a bar separating it from the dining area. Covered front porch with railing and 25'x25' concrete patio, which could be made a carport. Call to see this home today! Visit www.crosswayrealty.com for more pictures. DIRECTIONS: Take US1 North from town. After Wacona Elementary School watch for Sinclair on left. Home is at dead-end on the right.